Hi guys! Thought I could blog today! Had been very busy for the past 2 weeks especially with school! Intentionally wanted to take a break from blogging for awhile but in the end I decided not to because i still have so many un-published blogpost! I also realized I haven't been contributing blogpost about my life for such a long time! I promise to but up more sooon and yes! More of my fail cooking tutorials! Woke up early the morning today to attend mass at my church! After church, my family and I went to East Coast Park for brunch! No, that is not face paint. Hahaha! 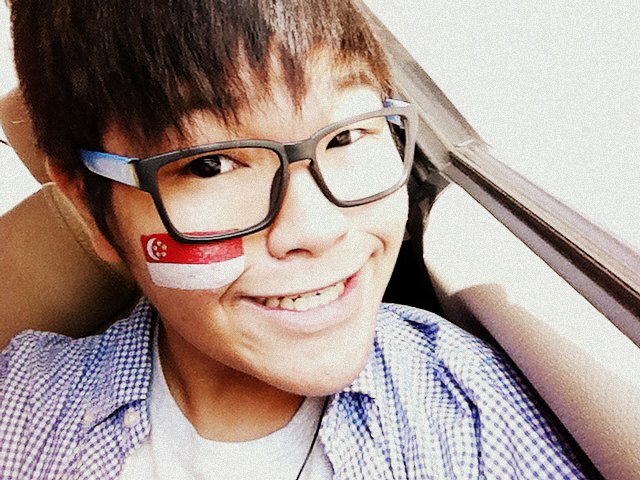 Decided to put the SG flag temporary tattoo on my face! Went to Awfully Chocolate @ Katong Outlet after that! Double Scoop Hei Ice Cream!! Yummmmmsss!!! :) It is actually dark chocolate ice cream! Super Stacked Chocolate Cake! Lol! The cake is warm! Not cold! HAHAAH but it tasted damn good together with the ice cream! I just realized the fork was broken lol. I went back home after that! So it was quite a simple day today! 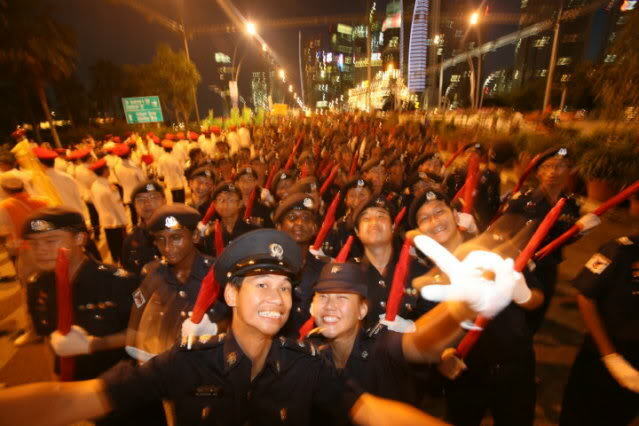 HAHA I still remember I participated in the NDP parade in the NPCC Contingent 2 years ago which was 2010!! Wahhh man! I miss the atmosphere, food & trainings!! 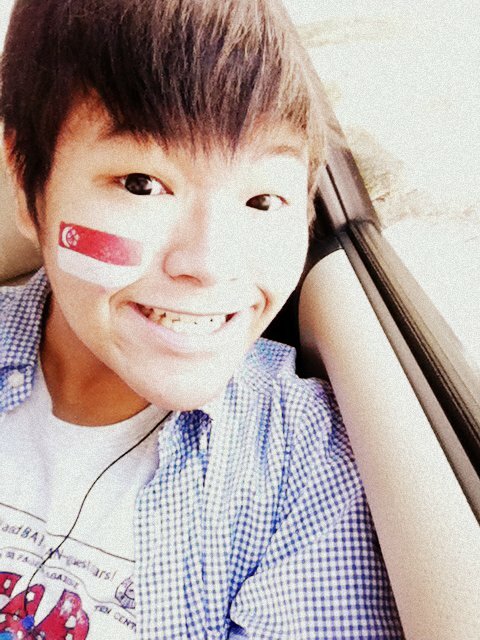 HAHAHA and the goose bump feeling when you stand at the parade platform itself! Remember the days, we set out together with faith!! Lol! 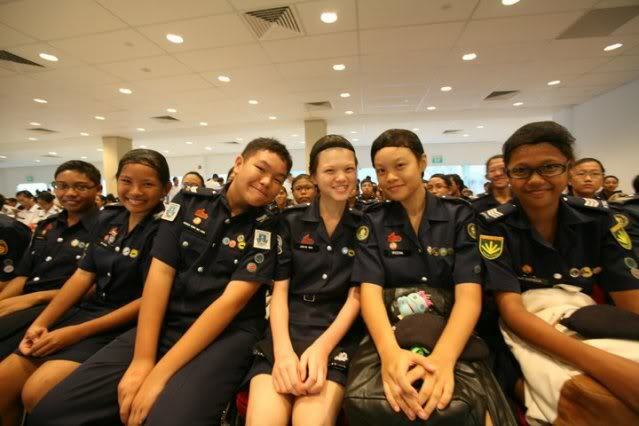 See if you can spot me or not! I was 15 with my curly fringe and really short hair!